"19821" got past the proof readers and foreshadows more sloppy scholarship as Beck and Balfe cherry pick facts from 1980 to 2000 to demonstrate how Reagan, who was responsible for nearly tripling the national debt, was a hero to Beck while Clinton was a "liar" for claiming to have generated a budget surplus when he discussed the national public or net debt. President Clinton was spinning the facts(2) and not distinguishing between the public debt and the gross debt (see graph below). The difference between the gross and the public debt Beck/Balfe refer to as "intragovernmental debt." The federal government borrows money from funds that are set aside in the Social Security and other accounts which adds to the total gross debt. His bank account or his scholarship? Beck begins the chapter by citing statistics about consumer confidence or lack-thereof during the period of stagnation (inflation with low economic growth) that many Americans felt and pointed out that the lack of consumer confidence in 1980 led to the voters throwing President Carter out of office after one term. It is the only mention of Carter in Broke including the previous chapter about the 1960's and '70's, the time frame Carter was in power. Poor Carter, Beck has no respect for him even though he contributed very little to the national debt. Again, see the debt charts below. Carter, Beck/Balfe conveniently ignore actually reduced the gross debt slightly during his term as president. Cherry picking facts means selecting facts that support your overall theory or thesis (the U.S. is "broke") and ignoring mention of examples that do not reinforce the researcher's predetermined conclusions (progressives make matters worse). Beck/Balfe attack Clinton as a liar because of his claim that he ran budget surpluses, but they do a shoddy job explaining the difference between the public debt and the gross debt. The following graphs from Wikipedia shed more light on this than anything in chapters 1 - 8 of Broke. Clearly the debt, which had been fairly level since WWII and decreasing as a percentage of GDP (second graph), shot up under Ronald Reagan. This was the inevitable consequence of significantly cutting taxes for everyone while massively increasing the Pentagon budget. Beck points out that Reagan was committed to national security. He quotes Reagan saying, "my responsibility is the security of the United States." He didn't point out that the rationale Reagan used to spend billions on the strategic nuclear forces was a supposed "window of vulnerability" that most experts dismissed as nonexistent. (4) It was a lie that Beck/Balfe never mention in this chapter. Instead, they spin the budget consideration of the Reagan era as "If [Reagan] wouldn't sign the Democrats' domestic spending bills, they wouldn't send him defense spending bills that met his standards. It was, in essence, a domestic version of mutually assured destruction. "(5) "Mutually assured destruction" is how Beck spins what most people call compromise in the parlance of democratic discourse. Beck/Balfe show a sidebar that makes an interesting point. As reported then by the N. Y. Times, "By skillfully trading their votes for things non-peanut farmers do care about, the congressmen for the peanut farmers were able to save their program. There are dozens of stories like this one. The result is that [budget director David] Stockman was unable to cut the goodies of anyone except those least able to organize and protect themselves: the very poor. "(6) Beck/Balfe leave it there. No mention of poor people's fate or whether Beck's cherished notion that "charity" can step in to replace government support for the poor was made. Beck had bigger fish to fry. This section of the chapter is entitled "In Defense of Defense" after all. Beck/Balfe do note that Reagan "once wrote in his diary that 'the press is trying to paint me as now trying to undo the New Deal. I reminded them that I voted for FDR four times. I'm trying to undo the 'Great Society.' 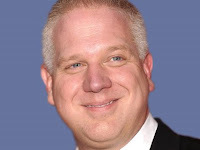 " Everything that Beck as said about the New Deal suggests that compared to Glenn Beck, Ronald Reagan was a loony progressive. Next, Chapter 9: "W. and O." Before more people start swallowing Beck's deceitful "history, "